Brew of The Day: OOTD - Black & White Stripes and Gongcha! I haven't done this for a while. It is always challenging for me to even wear white. 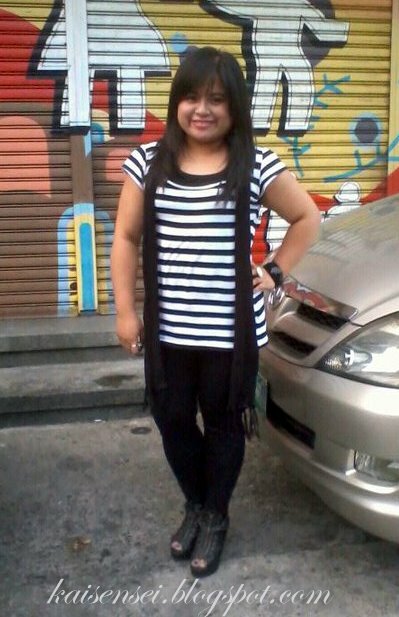 So this is my only concession with white -- black and WHITE stripes! It was a bit chilly when I had this photo taken and I only used my cellphone cam. Sorry about that! Black Wedges c/o SM Parisian. Now take a look at my new favorite hangout at SM City North Edsa Skydome! Get ready for some Gong Cha Love! 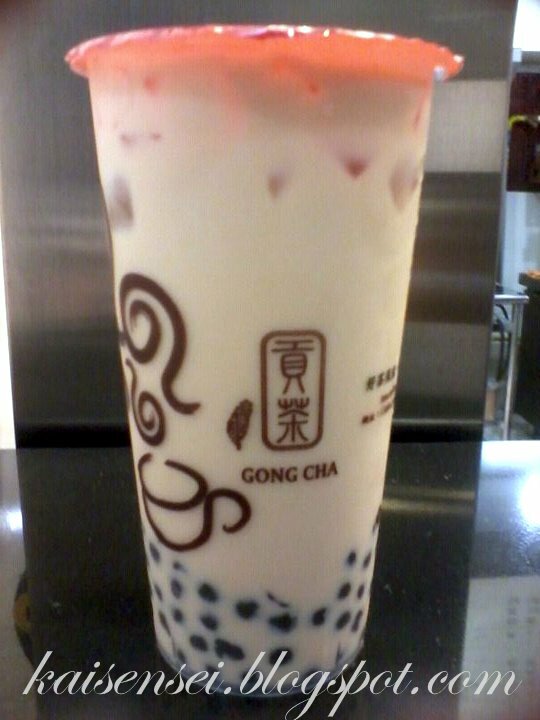 Gong Cha is finally here in SM City North Edsa! They just had their soft launching at the Sky Garden so please bear with them for the moment. 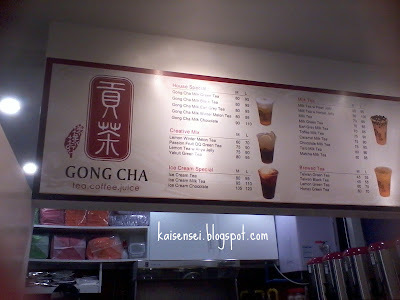 ANYWAY, ever since I found out about them, I haven't stopped craving for more of Gong Cha! haha.. my poor coffee taste buds are now wondering why I'm converting to tea. Now here's a look at their yummy drink! YES! I finished ALL of that! Yum yum yum. Bought Gong Cha Milk Chocolate at Php 110.00 for my sister! What can I say about it? BOTH drinks were THE BEST! I super loved it! I can't help rave about it! As for the drinks, you can choose the level of sweetness according to your taste. I wanted to cut the sugar so I chose 70% level of sweetness for both drinks. 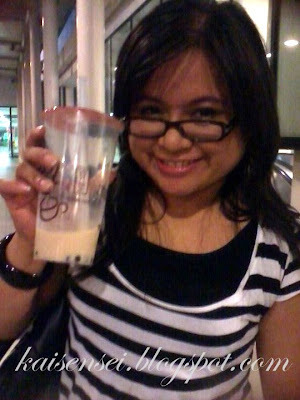 Another Gong Cha drink that I love is the Gong Cha Winter Melon Tea. The tea itself is sweet so there's no sugar added to it. 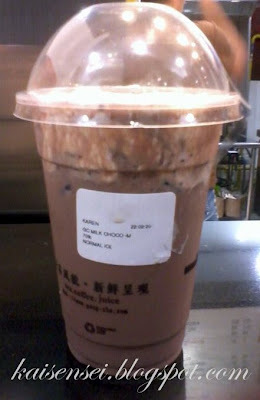 I swear, its one of the best tea drinks ever!! Its a must try!